AAMA Dr. Bernard J. Schroer Scholarship, facilitated through the Consortium for Alabama Regional Center for Automotive Manufacturing (CARCAM), support individuals pursuing a career/technical education certificate or associate degree in the Alabama College System in preparation for a career in the automotive manufacturing industry. Any scholarship award is contingent upon successful completion of the second college semester. Applicant must have a desire to work in Alabama’s automotive manufacturing industry. A maximum of 12 scholarships at $750 per semester for two (2) semesters may be awarded per academic year. A maximum of three (3) scholarships may be awarded annually to any one CARCAM college. The HMA Work Study Program is for students currently attending Gadsden State Community College, Central Alabama Community College, and Jefferson State Community College. For more information, please fill out the application and return it to your instructor. The Alumni Association offers scholarships to provide tuition assistance to qualified Gadsden State students. The Association is offering two $1,000 scholarships that may be applied toward tuition, fees, and books for the 2017 - 2018 academic terms at Gadsden State. The application deadline is March 8, 2017. Applications must be postmarked by March 8, 2017. The scholarship will be awarded during the Spring 2017 Gadsden State Honors Day Programs in April. The Presidential Transfer covers 12 hours in-state tuition for Fall and Spring semesters. It is renewable dependent on GPA. The approximate value is $14,000. The Presidential Transfer Scholarship may not be combined with other institution-provided scholarships. · apply by March 1st directly to JSU for the Presidential scholarship. Please go to jsu.edu for more information on the Presidential Transfer Scholarship and a complete listing of all JSU Scholarships. The SAWF Scholarship Program provides financial assistance to women admitted to an accredited two-year technical/career program, four-year undergraduate program, or graduate program in preparation for or in furtherance of a career in the automotive industry. SAWF has provided scholarships totaling over $168,000 in increments ranging from $500 to $5,000. Female high school senior or graduate; Applicants may submit applications before graduating from high school or receiving a GED. Degree being pursued in a STEM (science, technology, engineering, math) or an automotive field. Individuals may submit applications before graduating from high school or receiving a GED. We will be awarding scholarships for the 2017 Fall semester. The deadline to submit your application for consideration is June 1, 2017. The Mercedes-Benz U.S. International Scholarship Program has been established by Mercedes-Benz U.S. International, Inc. (MBUSI) to assist Alabama high school seniors and dependent children of MBUSI Team Members who plan to continue education in college or vocational school programs. Scholarships are offered each year for fulltime study at an accredited institution of the student’s choice. This scholarship program is administered by Scholarship Management Services, a department of Scholarship America. Scholarship America is a national nonprofit educational support and student aid service organization that seeks to involve and assist the private sector in expanding educational opportunities and encouraging educational achievement. Awards are granted without regard to race, color, creed, religion, gender, disability, or national origin. CARCAM responds to rapid advanced manufacturing sector growth by establishing and implementing innovative methods to develop a highly-skilled, diverse technical workforce and provide state-of-the-art professional development. 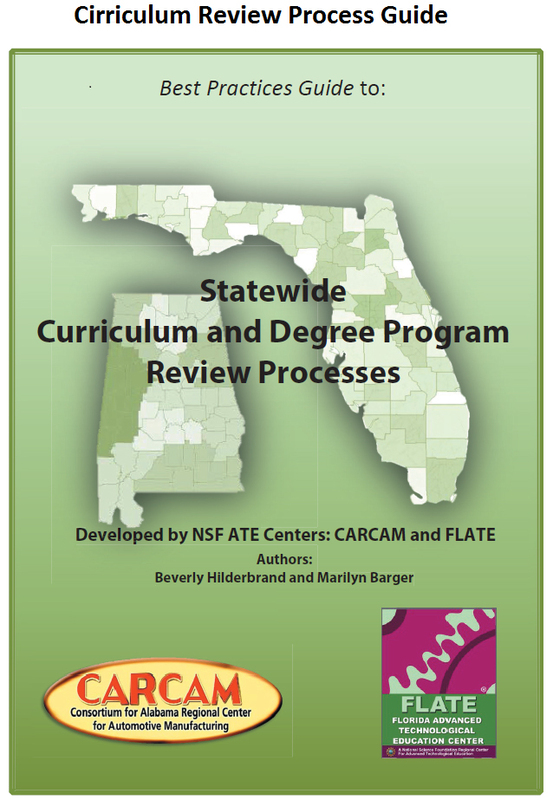 The CARCAM consortium is one of 42 regional National Science Foundation ATE Center’s. We are educating today’s workforce in cutting–edge technology. Our curriculum is specifically designed and developed with input from business and industry and implemented in today’s highly advanced technical manufacturing industry. With the skills learned at CARCAM colleges, Students are ready for today's top manufacturing technology careers. Copyright © 2019 Consortium for Alabama Regional Center for Automotive Mfg.